The new iBlazr 2 comes in black, gray, and white. 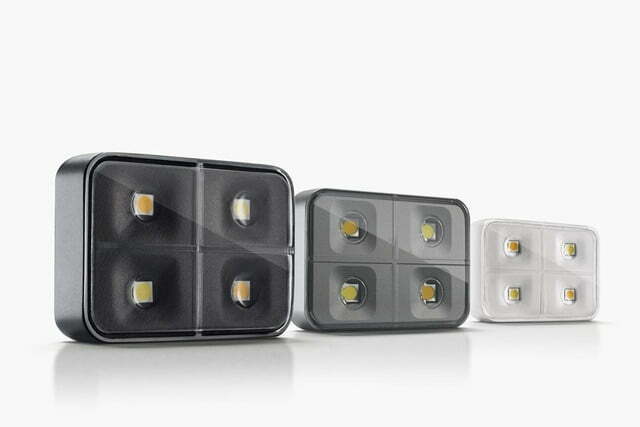 The iBlazr 2 is an LED light source for smartphones. It can be used as a flash or constant light. Unlike the previous version, which attached to a smartphone or tablet using the headphone jack, the iBlazr 2 is wireless and clips onto the sides. Because it's wireless, the iBlazr 2 can be used remotely. The Cold Shoe Mount lets you attach the iBlazr 2 to the hot shoe of any camera. 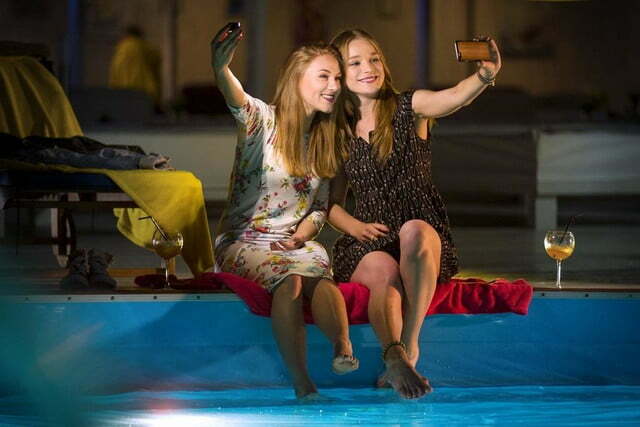 While nearly all smartphones these days have built-in flashes, it’s often not as effective at lighting what you’re shooting, particularly dark scenes. Which is why you should try using a constant light, like the new iBlazr 2, which easily attaches onto your smartphone and tablet to give you additional, more natural illumination. Now in its second generation, the iblazr 2 follows the same design and concept as its predecessor, but it’s now wireless and comes with new features. It launched as a Kickstarter campaign recently, and the product has already exceeded its funding goal, but there are still early-bird specials ($45) available (as of this writing), as well as other pledge amounts. 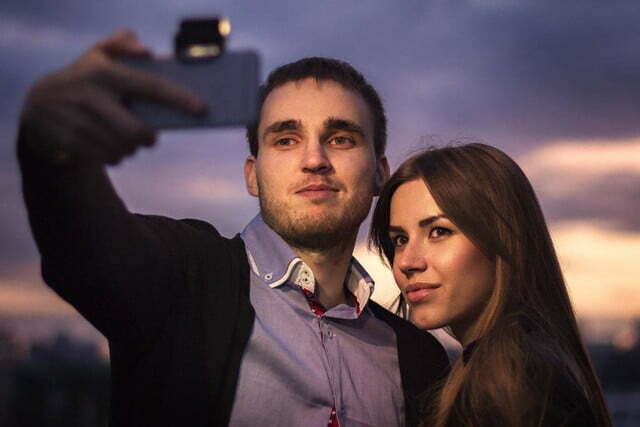 The iBlazr 2 is compatible with iOS and Android smartphones and tablets. It connects to and synchronizes with a device via low-energy Bluetooth, and runs off its own battery (300 flashes on one charge, or three hours of continuous lighting). (The previous iBlazr attached via a smart device’s headphone jack, although it could also be used independently.) You can use the compact four-LED-based flash with any native camera app, and simply tapping twice on it activates the flash and triggers the shutter simultaneously. For constant lighting, users can adjust the color temperature to create cold or warm lighting scenes, thanks to a new touch sensor. There’s even red-eye removal. 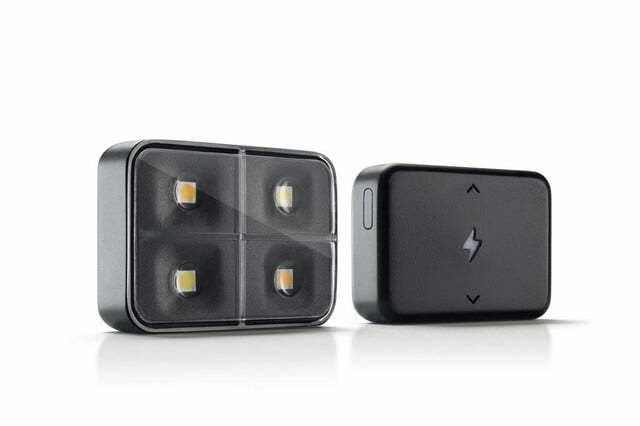 Because it’s no longer tethered to a smart device, you can use the flash remotely. If you want greater control, iBlazr 2 has a new companion app that lets you adjust white balance, ISO, focus, and exposure compensation, called Shotlight. 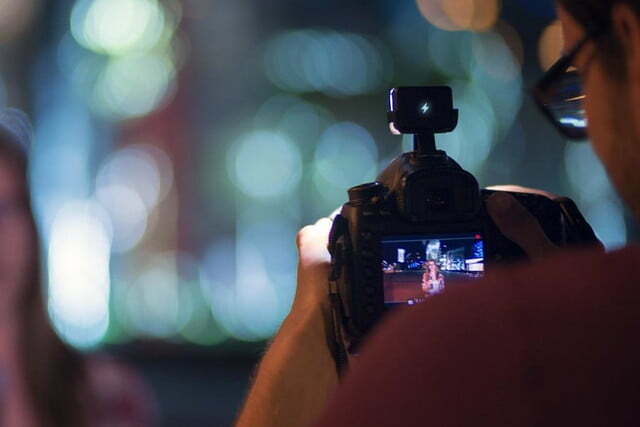 These manual functions, common in digital cameras, aren’t new to smartphones, but Shotlight supports video recording, and users can adjust settings in real-time. The app also automatically syncs with the flash when you open it, and you can fine-tune the flash’s settings, naturally. One iBlazr 2 will illuminate something from one direction, but if you need more intensity or you want a more even lighting around an object or subject, Shotlight can control up to 10 flashes at once. 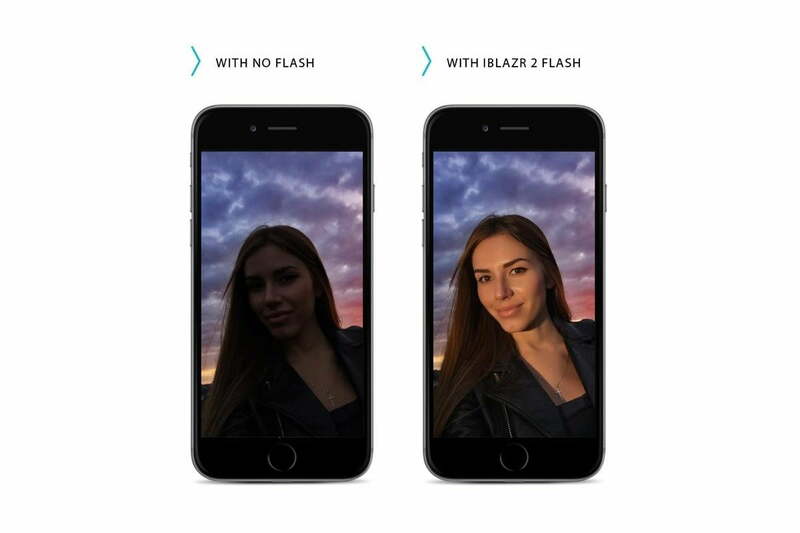 Shotlight also supports the first-generation iBlazr. The apps for iOS and Android will launch in June and August, respectively, well before the iBlazr 2’s scheduled shipping date; you can download and try it out. Because the iBlazr 2 works independently, photographers can also use it as a constant light source with any camera with a hot shoe. 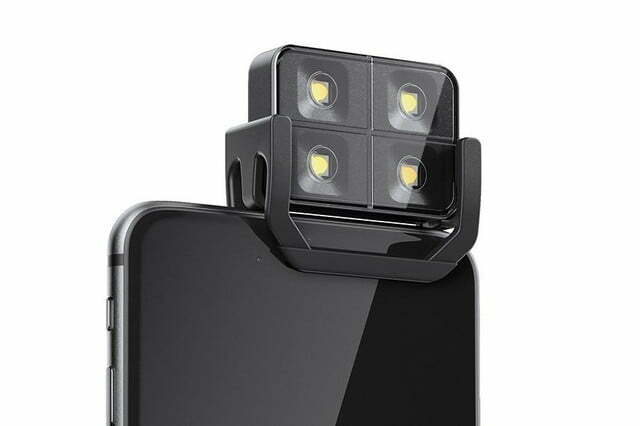 The iBlazr 2 comes with a Cold Shoe Mount (cold means there’s no electrical connection between the flash and the camera; you’ll need to control the flash via the Shotlight app on a smartphone or tablet), so you can attach it to a DSLR, mirrorless, or premium point-and-shoot camera. 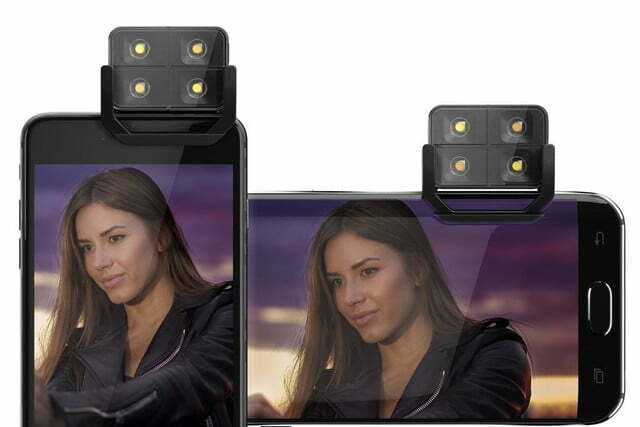 The iBlazr 2 is useful especially if you’re filming a video with a high-end camera. 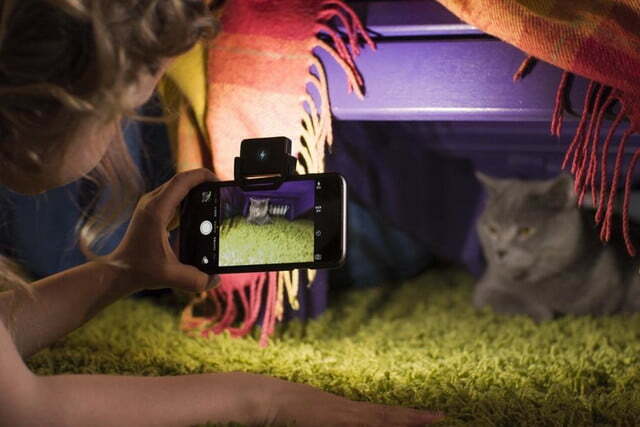 In addition, the flash comes with a silicon diffuser for a soft-light effect. 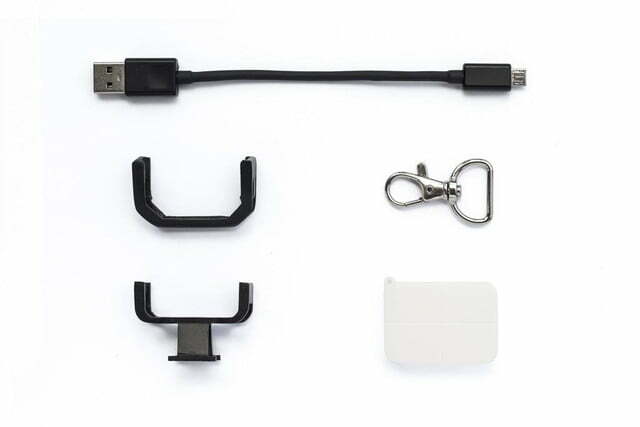 Besides the Cold Shoe Mount and diffuser, the iBlazr 2 comes with a mount that clips onto a smartphone or tablet (0.24-0.37-inches wide), a USB-to-Micro USB cable for charging, and a key clasp to hook onto a keychain or belt loop. The flash itself is available in black, gray, and white. The Kickstarter campaign ends on July 17.